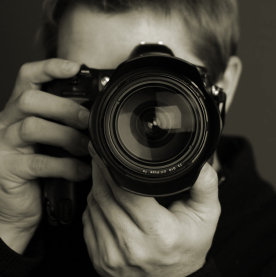 Are you completely daunted by all the settings on your new DSLR camera? Not sure where to start? Or have you been shooting on Auto and are keen to take creative control and use your camera to its full potential? This intro to digital shooting with Dubai pro photographer Tiffany Schultz will teach you the nuts and bolts of digital photography and will show you, in a very practical, hands-on way, how to take better photographs. You will learn how to take control over your camera’s settings and use them to creative effect, become familiar with technical jargon and get comfortable with your camera’s controls and menus. We will analyse each others’ work to discover what it is that makes a good photograph and how we can apply those principles to our own work. The class size is small allowing for individual attention and being spread over 4 weeks, it allows you to absorb what is learned, practice and get feedback. There is a balance between classroom lecturing, interactive discussion, critique and practical application of the concepts learned. In the final session session we will upload our photos and learn some powerful editing tools which will make your pictures even more breathtaking! The course runs over a four week period on Friday or Saturday afternoons from the 1st and 2nd June, 2012. Fees are 1,200AED per person. This includes: 4 weekly sessions of 4 hours each (total 16 hours of tuition), your course notes and homework projects with example images on disk and a certificate of completion. You will require a DSLR camera to participate in the workshop. Please contact Tiffany if you need any advice or assistance. There are only two spaces left on the Saturday class, email me now to register!